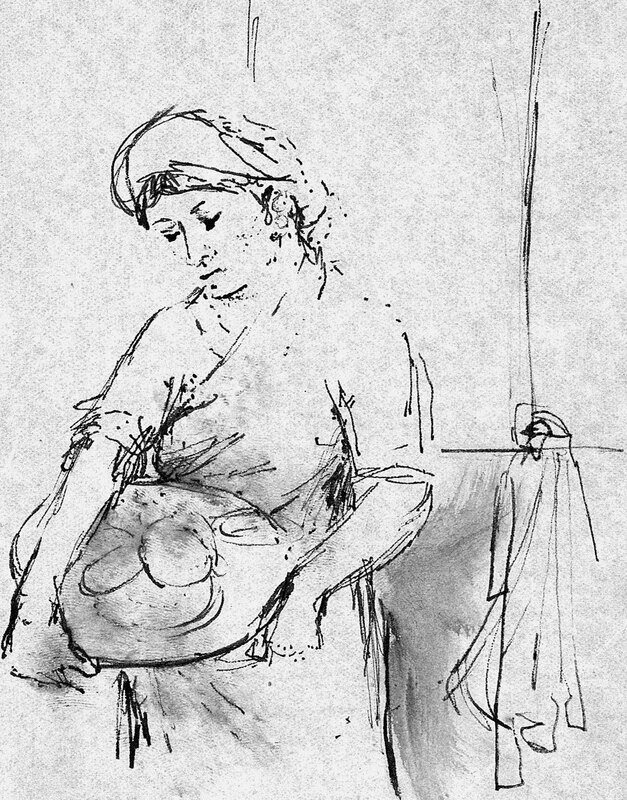 description A half-length portrait of a Lyons Corner House waitress, seen in three quarter face view with her head turned to the left and her eyes downcast as she balances a perilously laden tray of dirty crockery on her hip. A garment hanging on the door handle behind her reinforces the suggestion of the intimacy of a 'backstage', informal, kitchen setting, as she is seemingly caught unawares in a brief moment of rest between her many duties. literature ed., 'Eva Frankfurther 1930-1959: Paintings, lithographs and drawings' (London: Peter Halban, 2001), illus. p. 22.